LUNAR FISHING CO, has arranged of a tremendous amount of work to be done on the river allowing access to pools that were hitherto difficult to get to, and The Ednie stretches readily spring to mind. An old fisherman ie. Ken Goldie used to tell me he always fished Ednie in the evenings on fly and couldn’t go wrong. It must have been fantastic. Last night I recalled one very big spate In August when Gavin Milne and I set off for the Cruives. When we arrived at the river it was too big to use the bridge therefore we decided to walk over the Pinky Braes to my favourite spot at the other side of the Cruives pool. The days catch limit then was eight. This new figure had just been introduced. Within two hours I had six beautiful sea trout on the bank. I then started returning sea trout to the river because I wondered if I could perhaps catch a salmon. Sure as anything I caught one about 7.5lbs and another sea trout and went home to help dad in the shop. The good old days! This season (2015) hopefully will also prove to be a good season as most anglers these days are also conservatory returning a lot of fish to the river. The year 1964 was a year that many anglers who fished the Ugie at the time will never forget. According to fellow anglers, and confirmed by the late Jock Rodgers who was gillie at the time, during one single day at the "Cruivves," 500 seatrout were landed. It isnt known how many anglers were involved in catching this huge amount of fish. If anyone can shed a light and bring more info on this fantastic day, please email Duggie Wallace. I have a fishing diary, written by a Patrick Whyte of Inverugie, covering his piscatorial adventures between 1860 and 1894 on the River Ugie. It is in beautiful copperplate hand writing and records his fortunes and misfortunes on the river from a young age. The anecdotes may be of interest to members of the present Ugie Angling Association. I should be interested in any information about Patrick Whyte. As a youngster Pattie Whyte fished the South Ugie Water from near Brucklay Castle to the jungtion of another burn above the Abbey Bridge, catching , for example, in 1860 1869 from 30 – 100 burn (brown) trout per fishing day. He mentions a sister Maggie in Strichen, a nephew Charlie (Ogilvie)?, and fishing locations below Hillhead, Mill of Claickriach and Brig o’ Auldmaud. 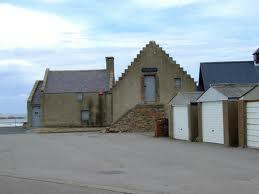 From his musings, one can deduce that Mr Whyte was in business in Peterhead, travelling daily by train. Once bitten by the fishing bug, he was on the river most days for a couple of hours before work and several hours after his return, often fishing well after dark. He refers frequently to specific pools on the river – Cruive Pot, Meadow Pot, Craig Pot, Souttar’s Pot, Baubie Duthie’s Rock, Potsunkann, The Narrows, Lillie’s Park, Scott’s Mill. He bought a 10-year licence and the diary records his activities between 1882 and 1889 when he had spectacular catches. Before this period he fished only for brown trout, returning home with huge catches. He then fished for salmon, grilse, sea trout and finnock, often with a huge take- home basket. Unlike most members of the Ugie Angling Club who fished with fly, Mr Whyte fished only with worm. His writings suggest that he was a bit of an eccentric and given to bragging about his catches. Every other day he records how he beat one of his rivals by so many fish; he gives the initials of many of these persons. He cannot have been very expert, as he was forever breaking his rod and other tackle. For his annual total he records for 1883 “Beat McD by 45 fish”, and of his best season (1886) he wrote, “This is the best fishing year ever heard of in this generation…My rival was beat by about 80 in number, by his own account; I rather think 100, but it matters little”. To give an idea of just how productive the Ugie was in those days, these are his recorded catches for sea trout/finnock: 1882 (259), 1883 (330), 1884 (392), 1885 (327), 1886 (696), 1887 (630), 1888 (420), 1889 (228); there were also a few salmon and grilse taken each season, as well as a great number of eels. His total for the eight years of all the sea-going salmonids was 3,301. His brown trout catches for the years 1882-1884, the only seasons he recorded these, were 981, 1,051 and1,734, excluding several hundred “flukes” (small trout) being returned each season. On several occasions he landed brown trout of two to three pounds. He never sold any of his catch, but gave them to his friends and his long-suffering wife. He refers to his 10-year (1880-1889) licence costing £15, and a day’s membership costing 2/6 (12.5p). Today’s membership fees are £170 per year and £16-£30 per day. 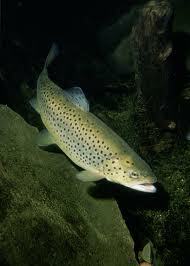 There is a limit of only two sea trout per day (Mr Whyte often took 20-30 a day). The River Ugie Angling Association says the Ugie produces 100 salmon and 300 sea trout in a season. Considering Mr Whyte’s astounding catches 130 years ago, together with the increasing effects of intensive farming along much of the twin river’s course, it is perhaps not surprising that the Ugie’s productivity declined rapidly.